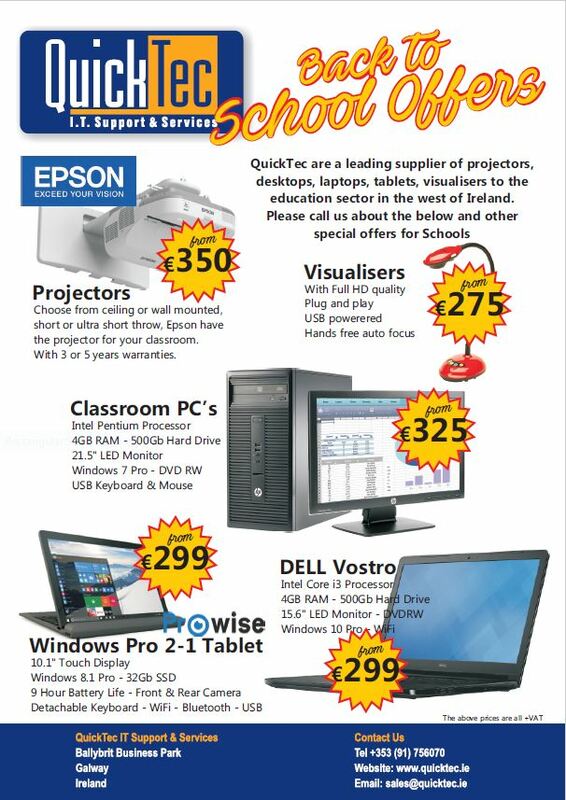 Check out our discount offers on projectors, visualisers, laptops PCs and tablets for your school (or office) for September. Avail of these great offers today! Call Ray on 091756070 Ext 1 to order or to enquire further.